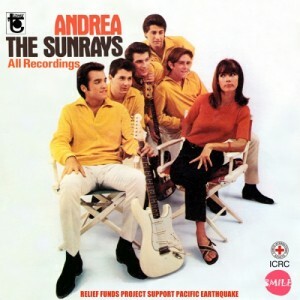 I stumbled across this album by a “Beach Boys” styled band called The Sunrays several years ago at an antique store. I purchased it mostly for the mod aesthetic of the cover, not really expecting much. I instantly fell in love with the first song, “I Live For the Sun.” It’s peppy vocals and bright melodies capture the essence of summertime style in the 1960’s. It’s strange that a someone like me, practically a vampire who doesn’t even really even like going outside, could identify with this sort of jam. Yet it’s amazing. The song promotes life, like the rays of the sun itself. The band actually toured with and opened for the Beach Boys, unsurprisingly.